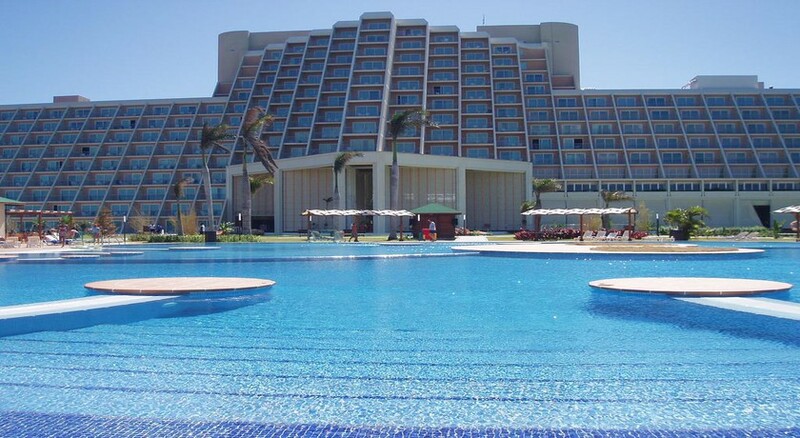 It's couples paradise at The Blau Varadero on the north coast of Cuba. Adults get all the fun at this hotel which is strictly for grown-ups only. Awaiting you is a stunning location with the most beautiful stretch of white sand and gently lapping turquoise waters. 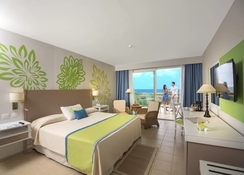 As one of the tallest and most impressive buildings in Varadero, you'll find high standards of service and comfort at this all-inclusive getaway. Savour delicious dishes at any of the three restaurants, including one serving global cuisine, along with four bars where you can enjoy a cocktail or two. Unwind in a hot tub or the sauna or simply laze in the freeform, outdoor pool or check in for some indulgent de-stressing treatments at the spa. The 395 rooms come with balconies and terraces offering great views of the outdoors. 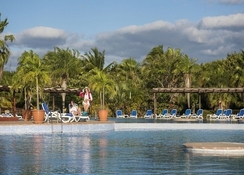 The Varadero Golf Club is about a 10-minute drive away. 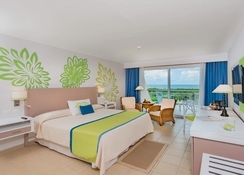 Set right on the beachfront, the Blau Varadero resort is located 6 km from Varadero Golf Club and 10 minutes' drive from the centre of Varadero with its museum and (once banned) Beatles-Bar Restaurant. This elegant, adults-only hotel has 395 rooms, spread out in a single building, all with individual balconies and terraces. Guests can choose from Double Room with Sea View and Balcony, Suite with Sea View and Balcony or Terrace, Double Room with Garden View and Balcony or Terrace, Double Room with Sea View and Balcony or Terrace. 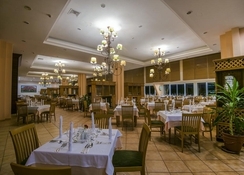 The Flamboyan or international buffet restaurant serves breakfast and dinner, besides a 'healthy buffet' serving light meals and weekly Cuban night specials. Also try the gourmet Palma Real, Grill Los Adelfas that offers lunch and Tex-Mex specialities for à la carte dining, the Orquidea Hotel bar, 24-hour beach bar the Ranchon Playa, the Pool Bar and Piano Bar. Since the hotel is located on the beachfront, you can spend hours soaking up the sun on the sands. If you enjoy sports, opt for a game of tennis, volleyball, basketball or go canoeing and snorkelling in the azure waters. Or unwind in a hot tub, sauna or take a swim in the outdoor pool. The hotel also houses a gym, a tennis court, a kids' club and diving school. Guests can also rent cars and motorbikes. There are also dance classes, Spanish lessons and live music available throughout the day and evening too. Meal Plan: All Inclusive Good access for guests who can walk short distances and climb up to six steps.